⚓ T2950 BAF Land Rovers' destroyed textures disappear when underwater. 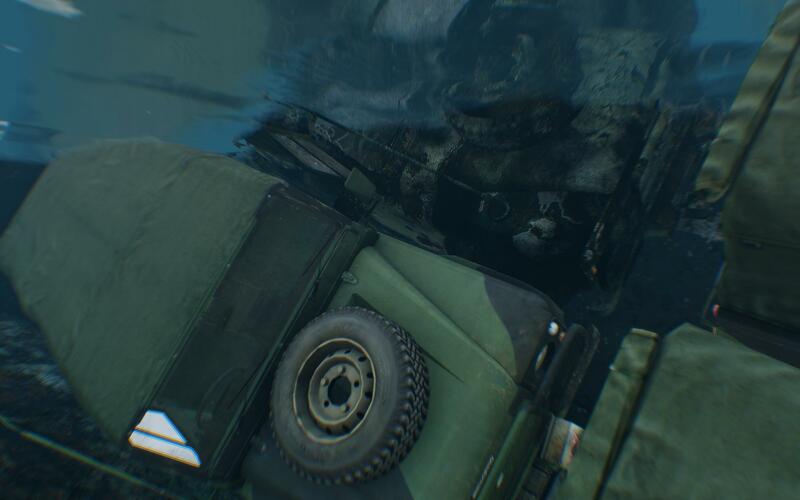 BAF Land Rovers' destroyed textures disappear when underwater. When a destroyed BAF Land Rover Defender goes underwater, its destroyed texture disappears and is replaced by a pristine skin. In the pic, both vehicles are equally destroyed, yet the one on the bottom looks pristine while only the one above the waterline has the destroyed texture. Eogos changed Branch from Release/Stable to Development. Eogos checked Reproducable without other mods?.